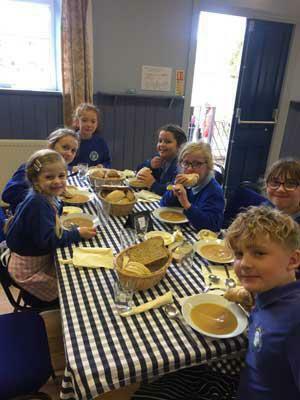 On Thursday 20th October we had our Harvest Lunch. 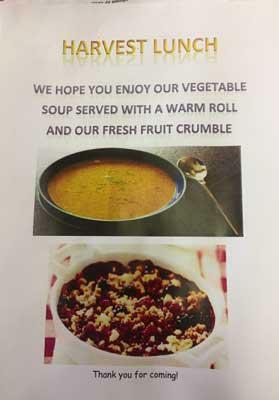 The children each brought in various fruits and vegetables to make our delicious soup and fruit crumble. 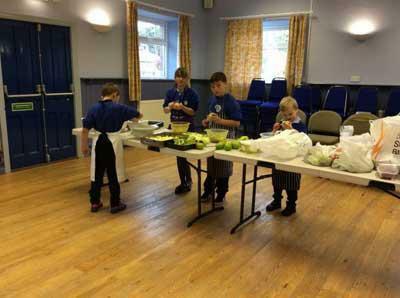 During the morning the children worked hard to prepare the vegetables for the soup and make the crumbles. This wouldn’t have been possible without the help from four parents thanks to Sam, Nicola, Ollie and Helen. 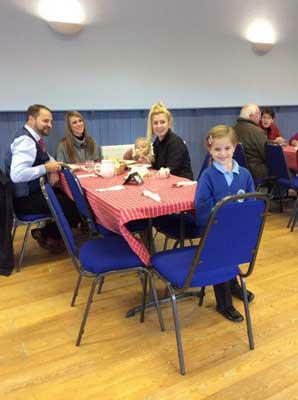 The school council worked very hard to organise the event they set out the hall and served the lunches to our guests. The money raised thorough donations at the lunch went towards Eden Mencap. We raised £59.10 thank you to everyone who came.